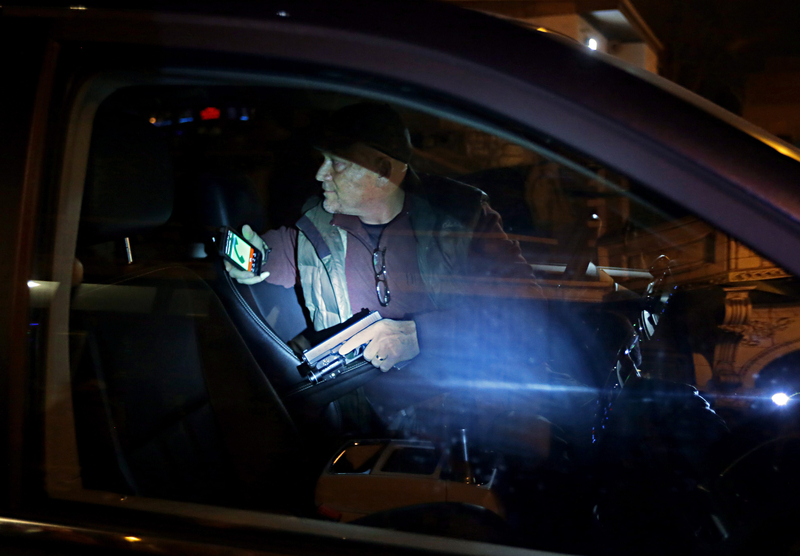 A motorist pulls his gun and keeps an eye on protesters who broke out the rear window of his minivan along Euclid Avenue in St. Louis on Wednesday, Dec. 3, 2014. Moments before the motorist had dangerously driven through a group Ferguson protesters standing in the intersection of Euclid and Maryland Avenue. The protesters chased him down the street and surrounded his vehicle when he became stuck in traffic.